Yesterday, the yellow vest demonstrators took to the streets again. According to the latest estimates, they were well over 30,000 protesting across France to demand better living conditions. As always, Emmanuel Macron responded with force, arresting hundreds. The movement takes its name from the yellow jacket protesters have adopted as a symbol of their discontent. Protests erupted in November against hikes in car fuel taxes, with supporters donning the fluorescent safety vests that French law requires all motorists to carry. Demonstrators were furious over unprecedented high prices at the pump, with the cost of diesel increasing by about 20 percent in the past year to an average of 1.49 euros ($1.68) per liter. Instead of heeding the plea from the protesters, Macron—ever arrogant—announced further tax hikes. He said the move was necessary to combat climate change and protect the environment. The mainstream media in France did its best to downplay the movement, calling it a “fringe” undertaking backed only by people in small towns and rural France where most get around by car. It may have been true at the beginning. Now, it is fair to say this is a nationwide civil disobedience against a man who had campaigned on a non-establishment platform. 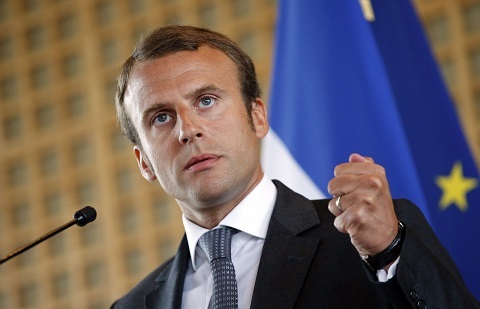 Instead of working to deliver on the promises candidate Macron made during the campaign, he went on to implement neoliberal policies that further widen the gap between the rich and the poor. Without any regard to the plight of the disenfranchised, Macron shamelessly moved to please the super-rich: Giving tax breaks to the top 1%, cutting social spending and keeping the minimum wage as low as possible. These policies have caused the protests to snowball into a wider movement against Macron who is now perceived as being bias in favor of the elite and well-off city dwellers. As a traitor, they want him to resign.